Navigate to Menus → Menu Manager and click on the Options icon in the Toolbar. This screen allows you to set global permissions for the Menus component. 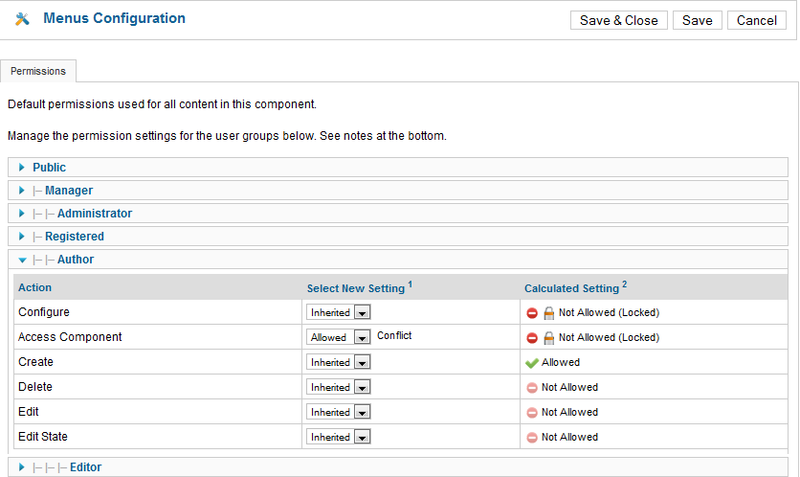 These settings control what actions that members of each user group may take with respect to menus.